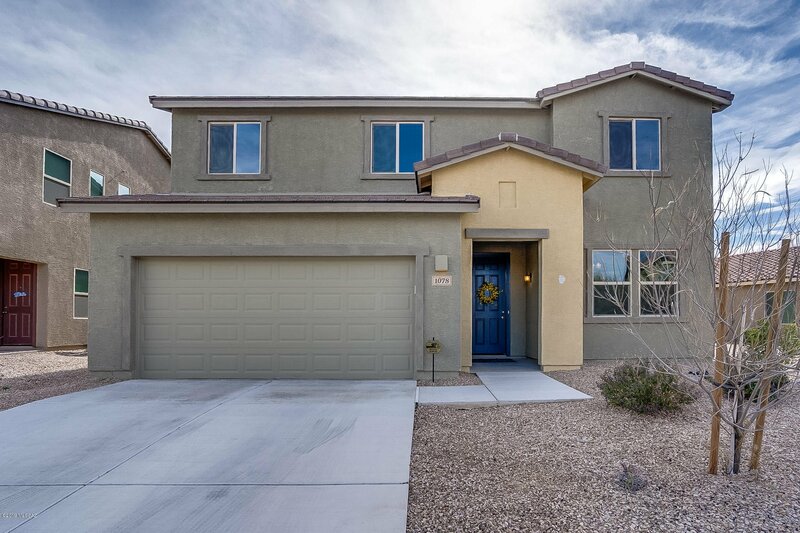 This is a beautiful home located in the desirable community of Madera Highlands with 2,640 Sq.' 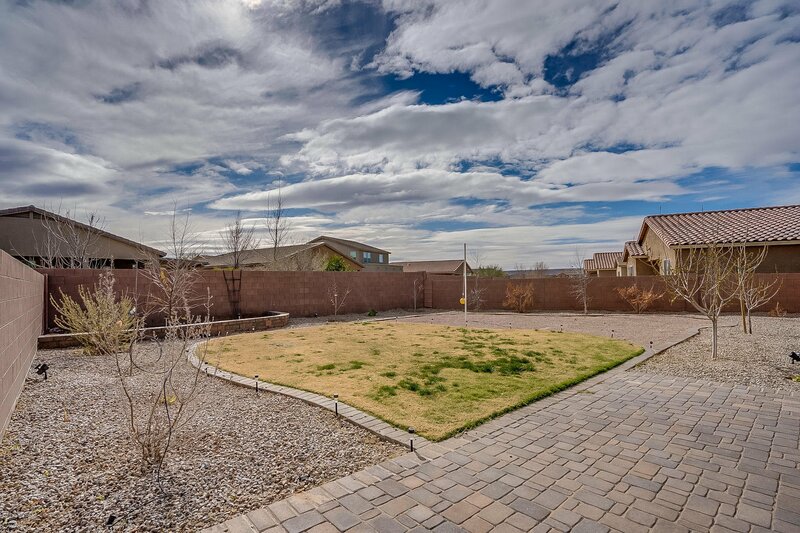 of living space and a large nicely landscaped yard. 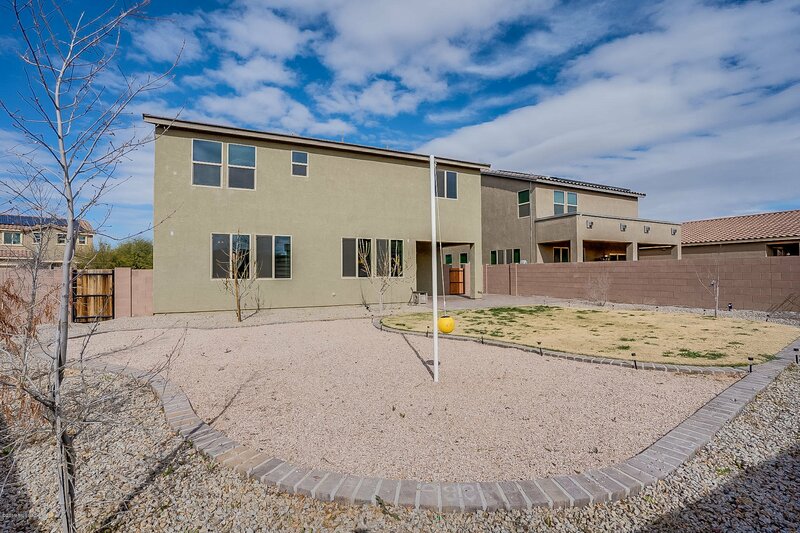 It is a functional open concept two story home with entry living area, great room, half bath and laundry room on the first floor. 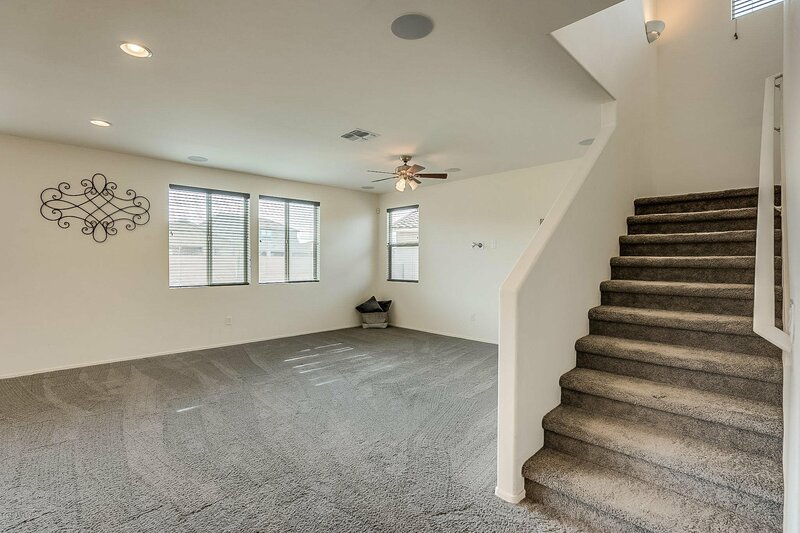 It has five bedrooms, two baths, and a large bonus room on the second floor. 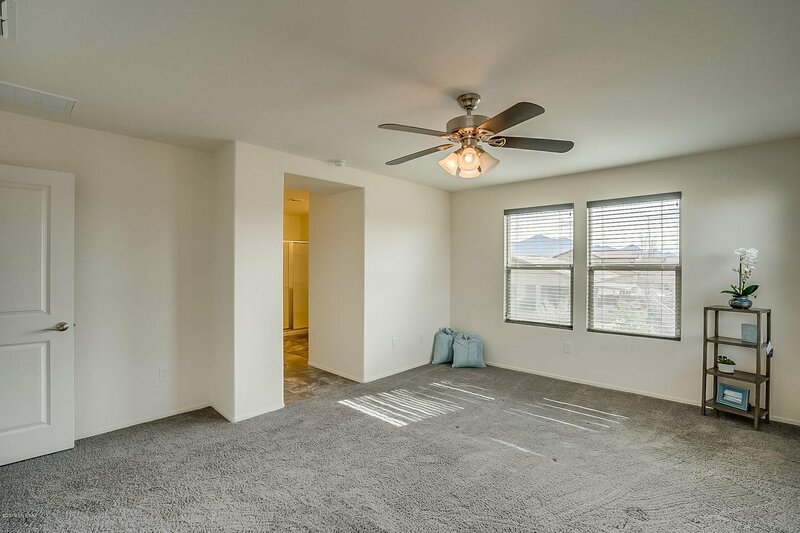 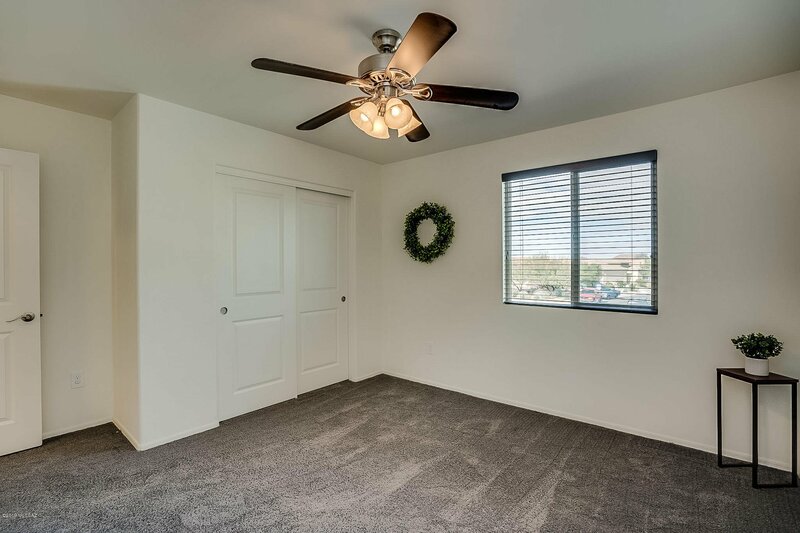 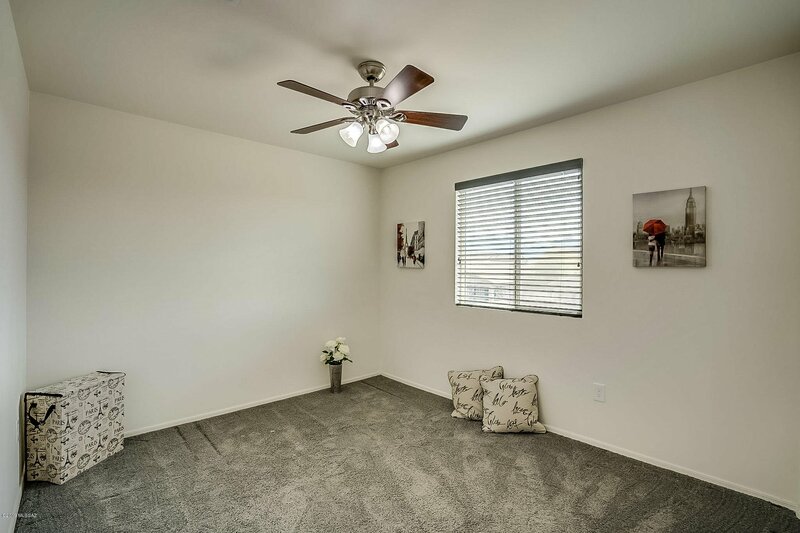 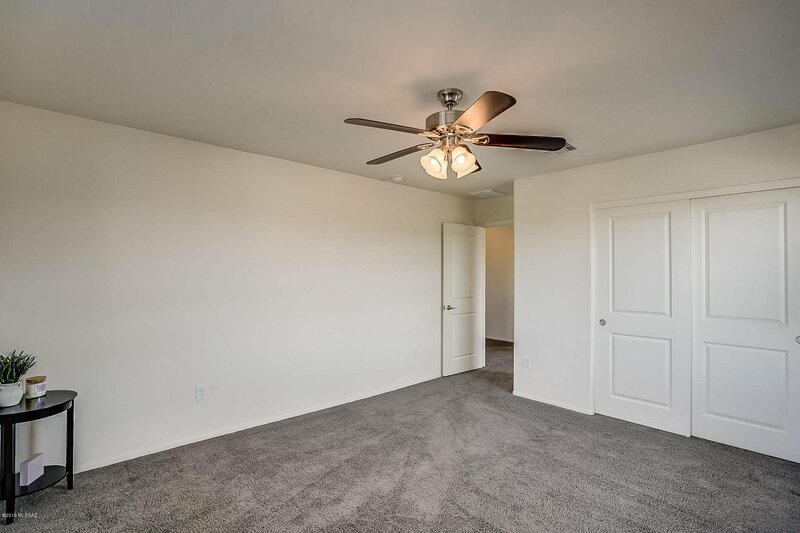 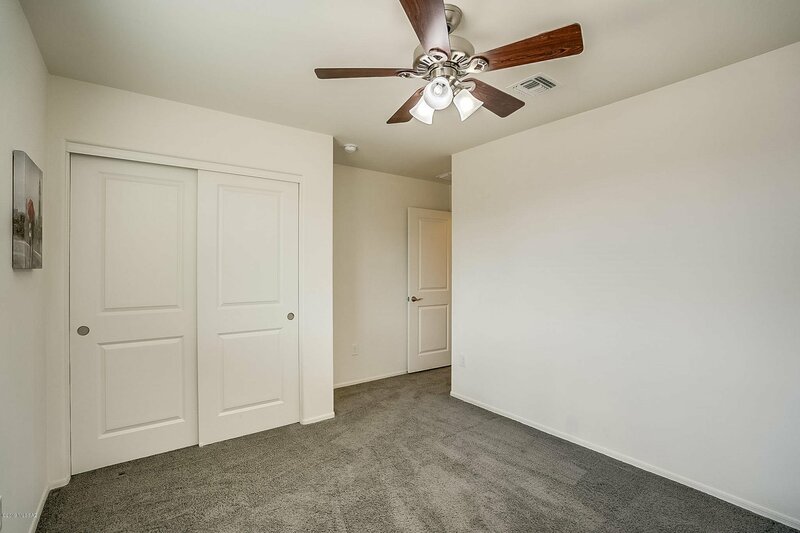 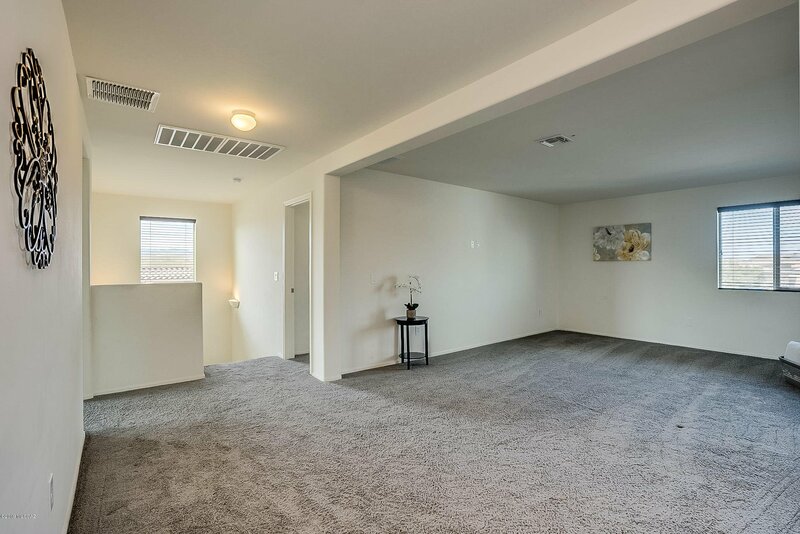 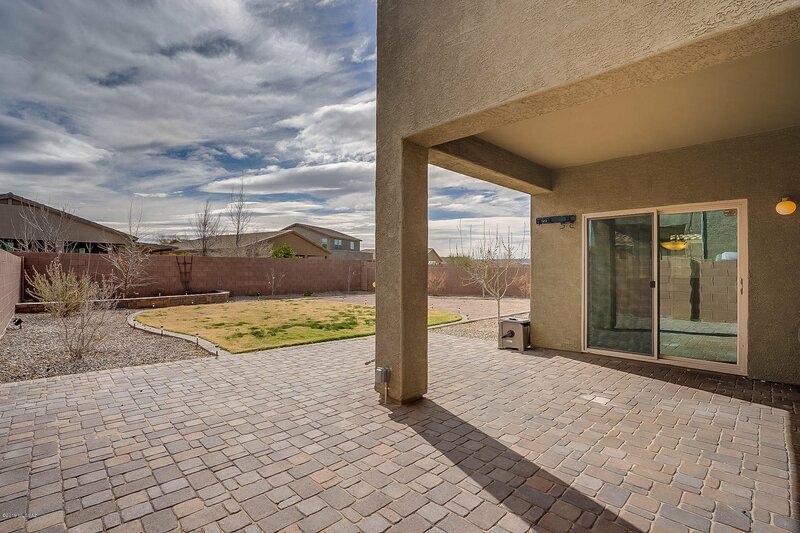 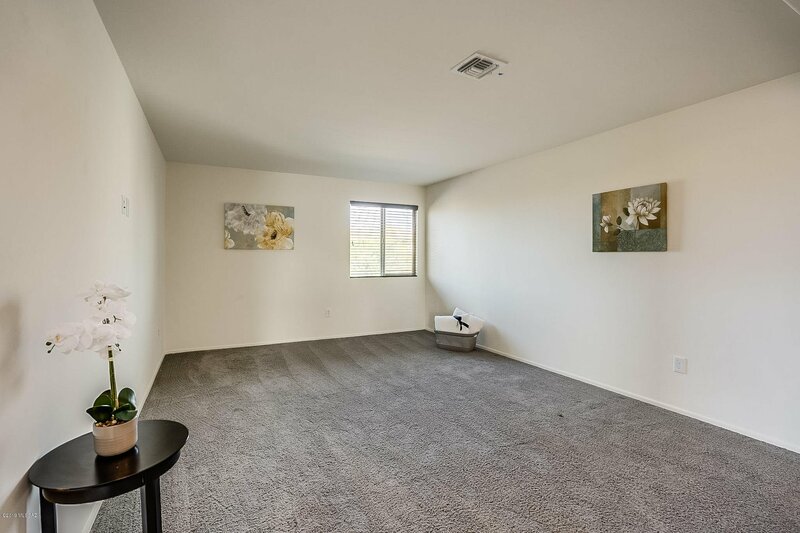 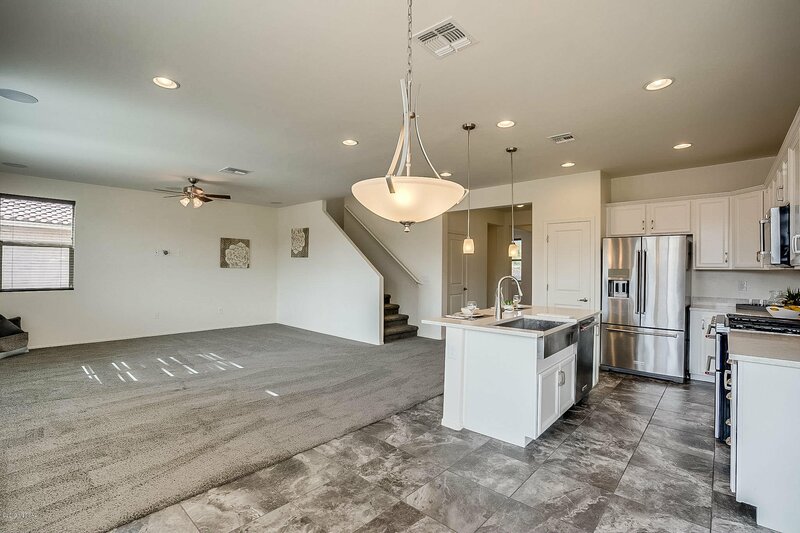 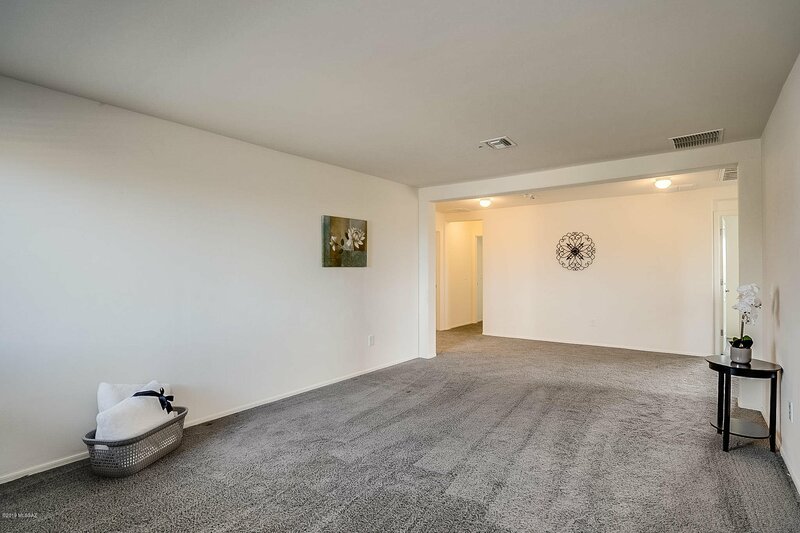 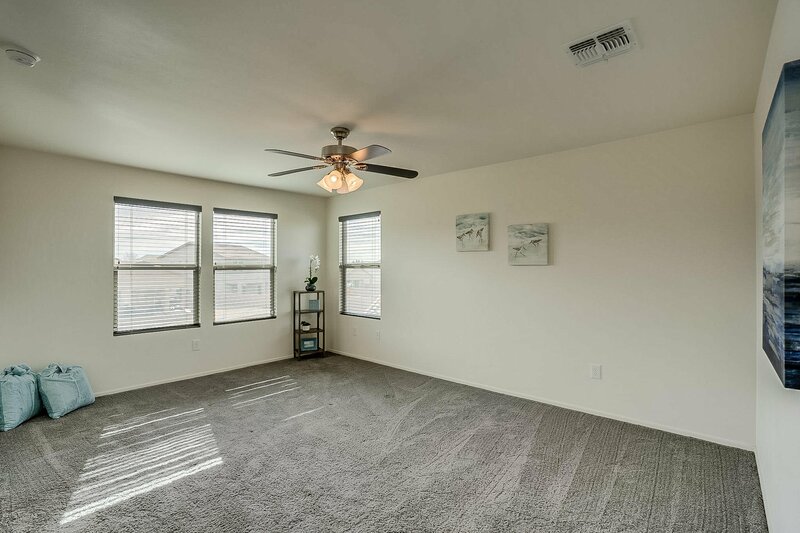 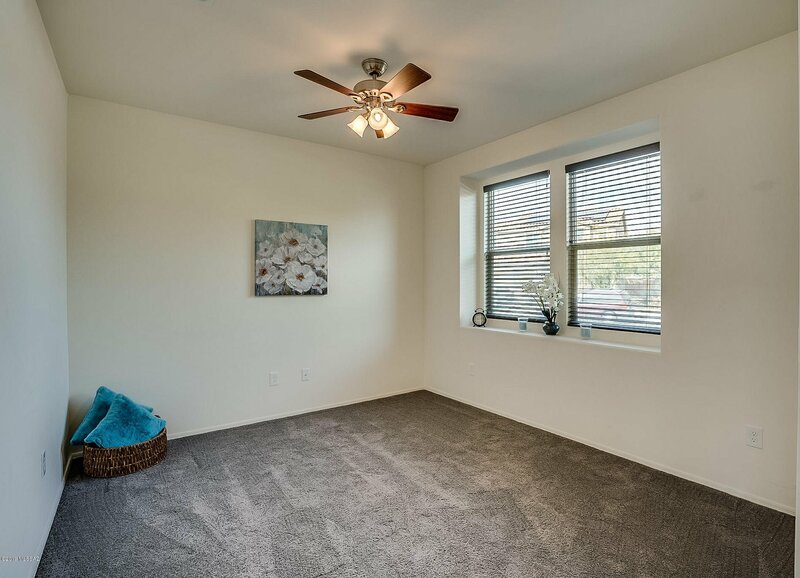 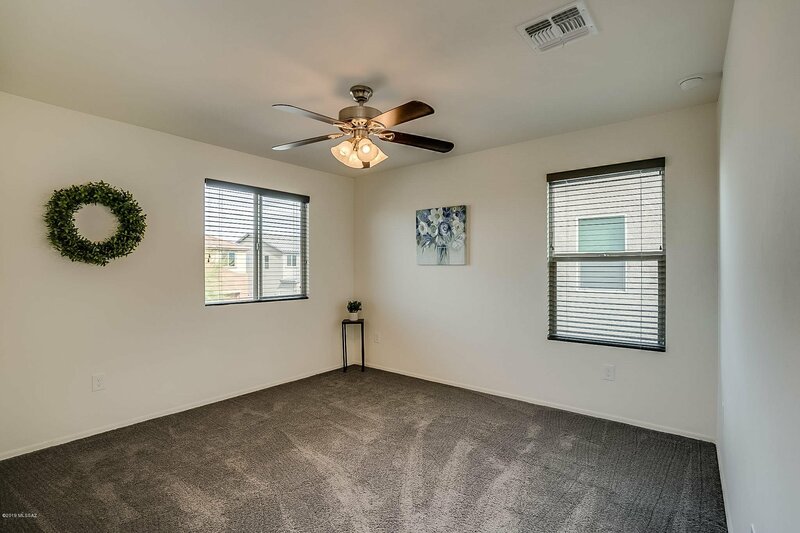 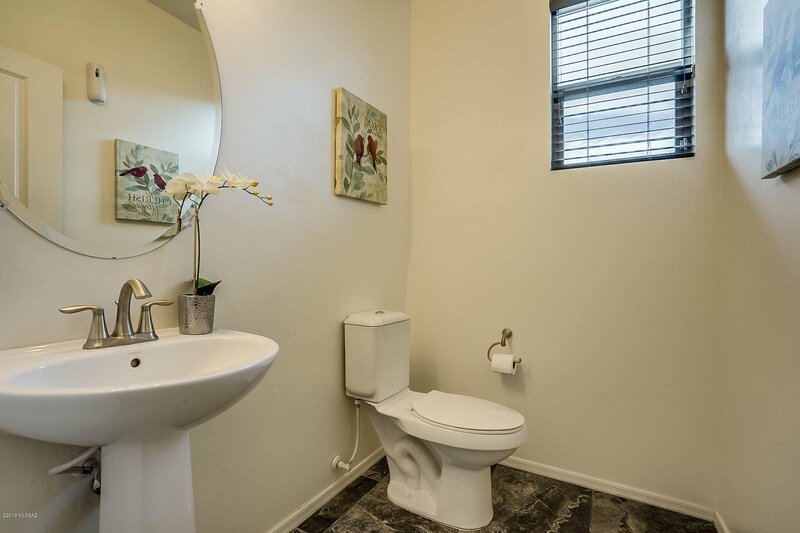 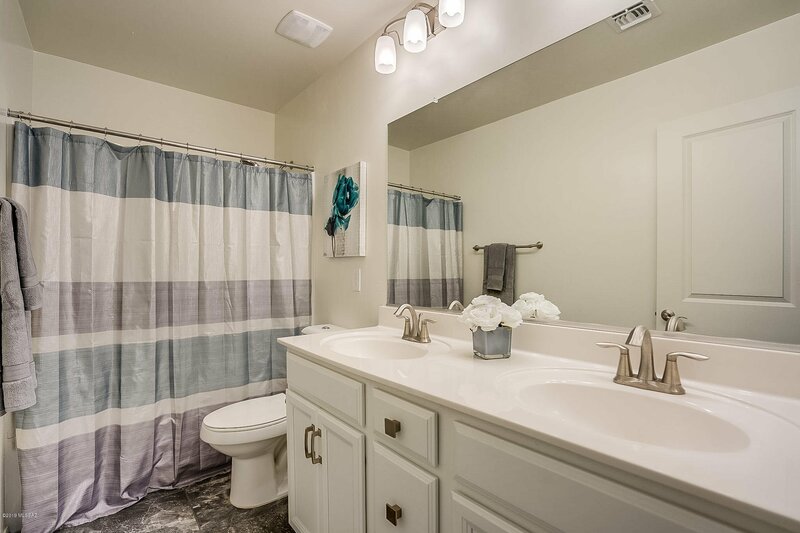 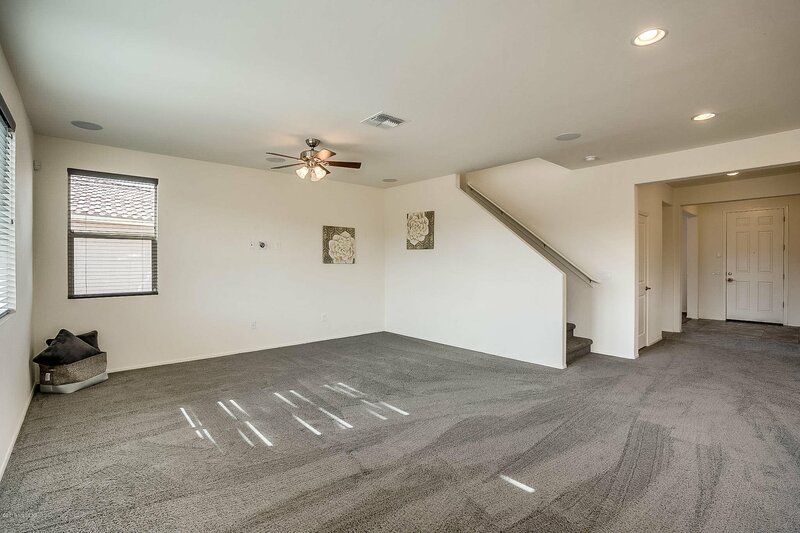 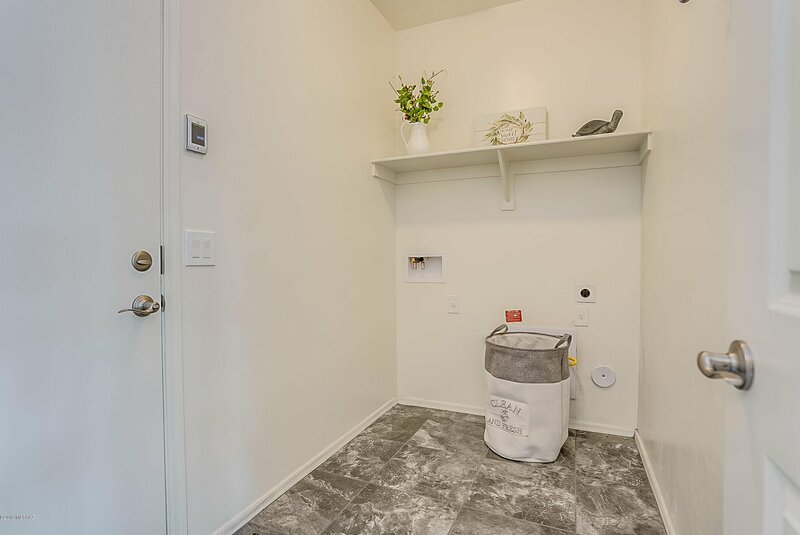 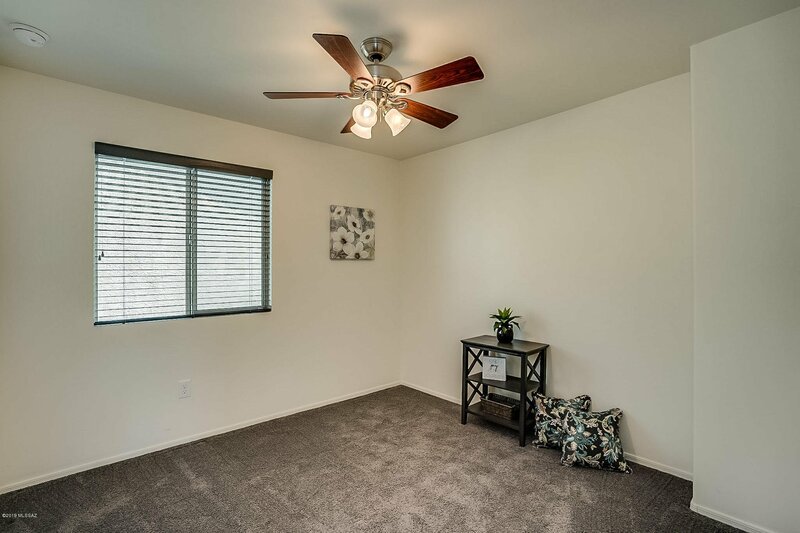 You will love the rich gray tile, deep gray carpet and complimentary wood blinds throughout. 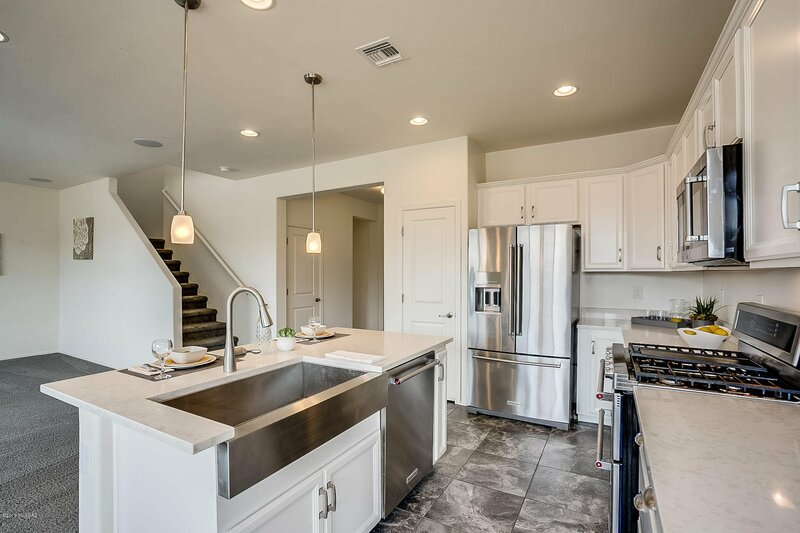 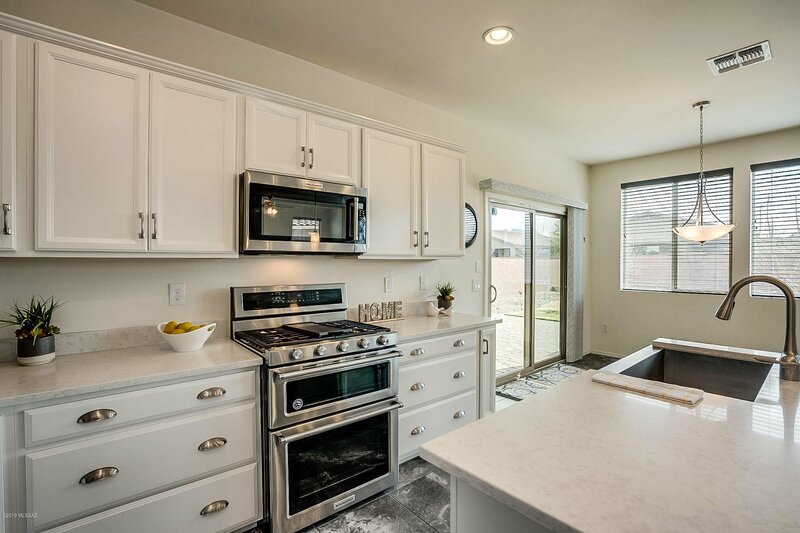 The kitchen is stunning with crisp white cabinets, sharp granite counters and stainless-steel appliances complete with farm style sink. 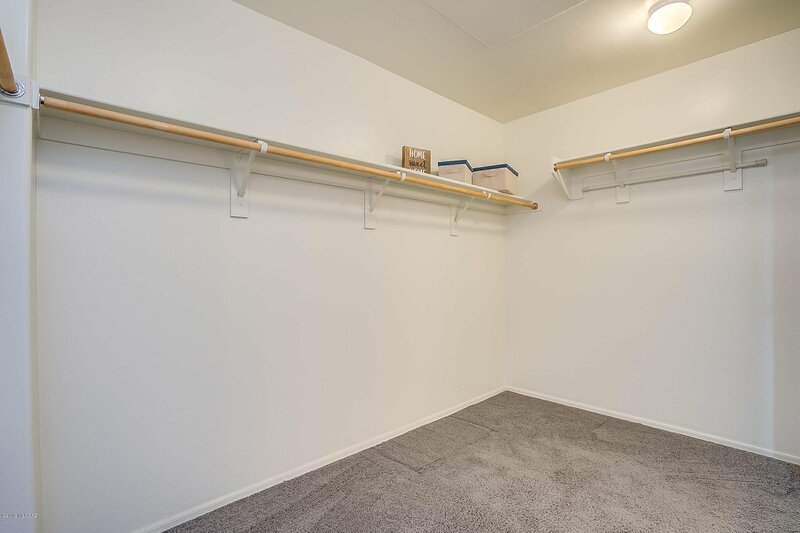 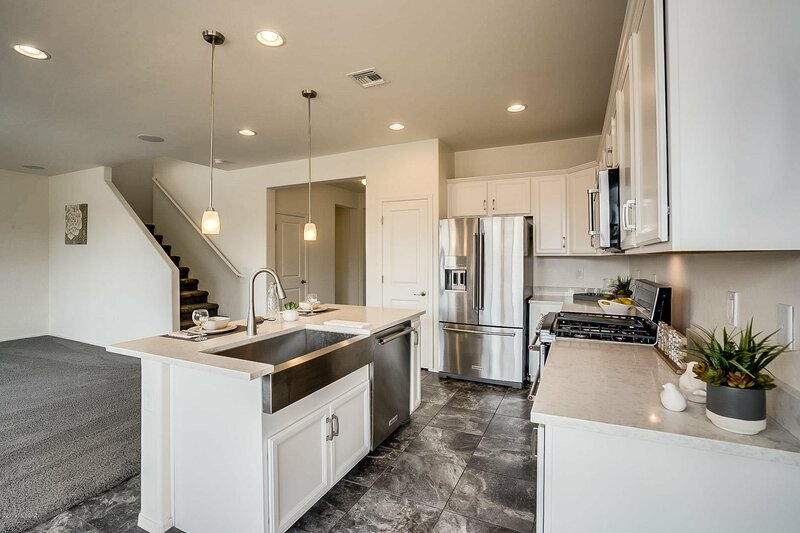 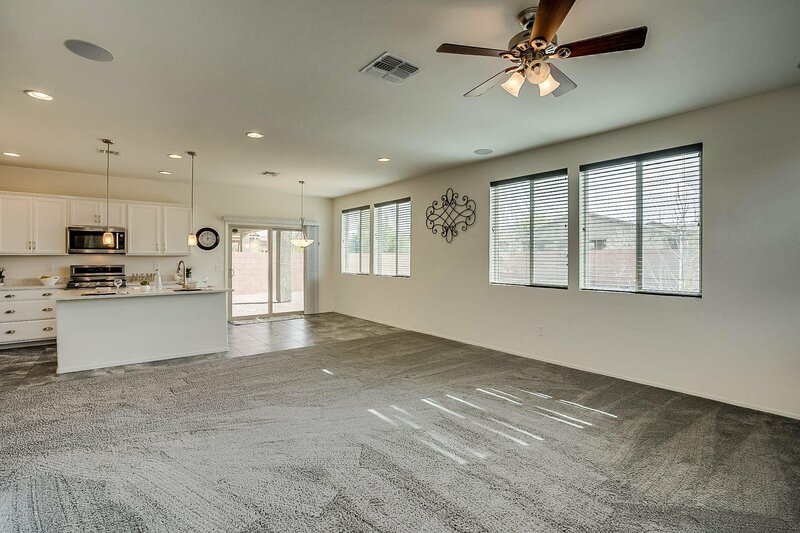 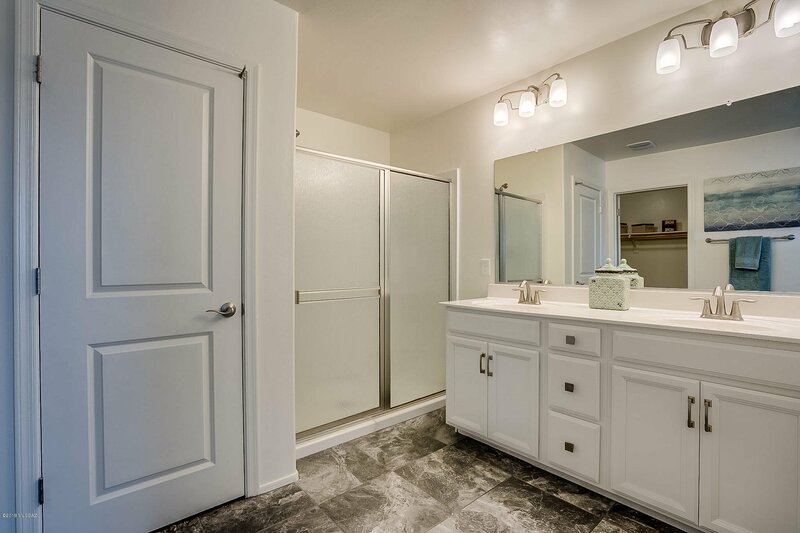 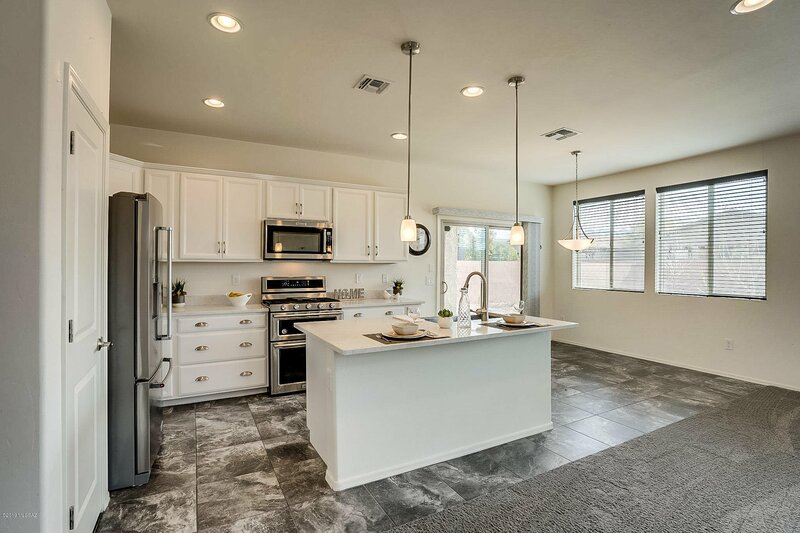 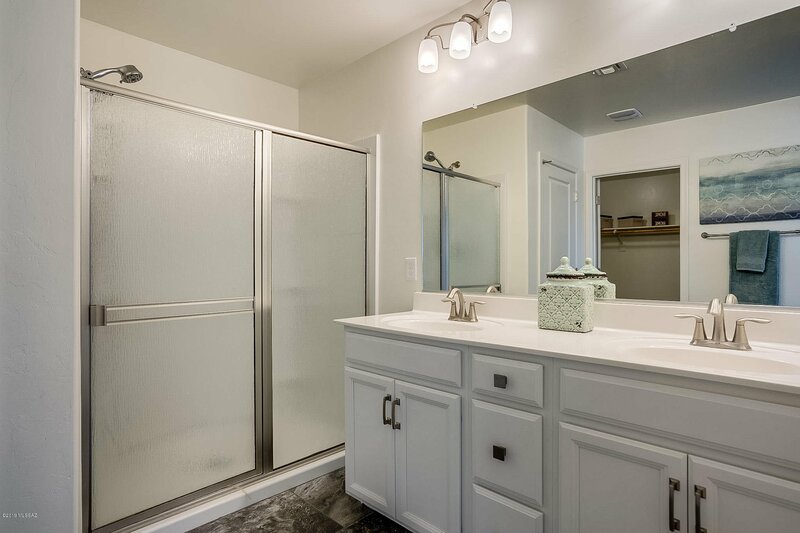 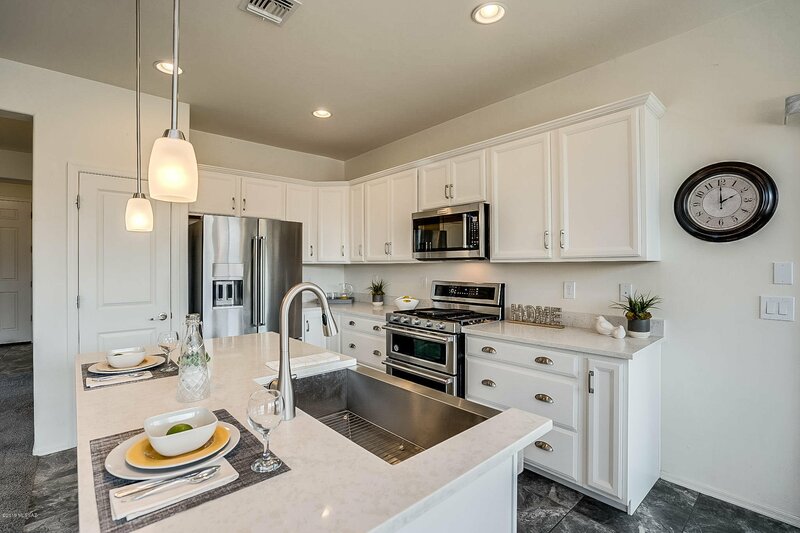 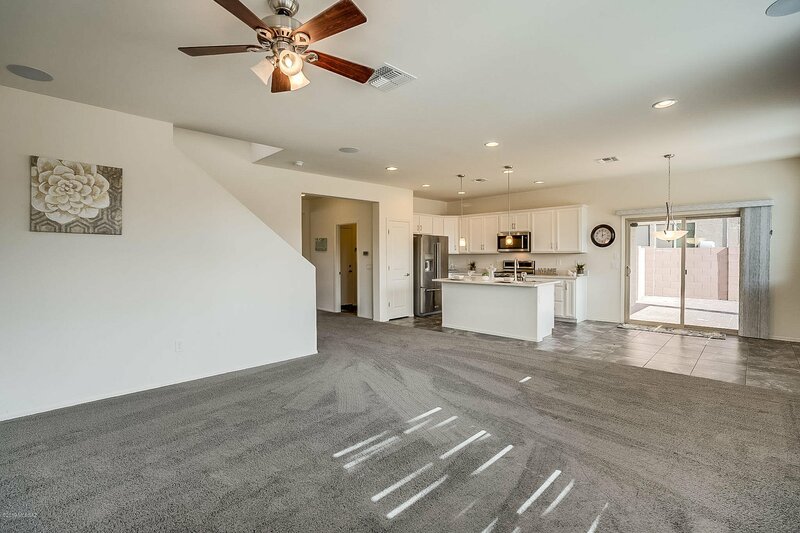 The spacious master has dual sinks, sizable walk-in closet and flowing natural light. 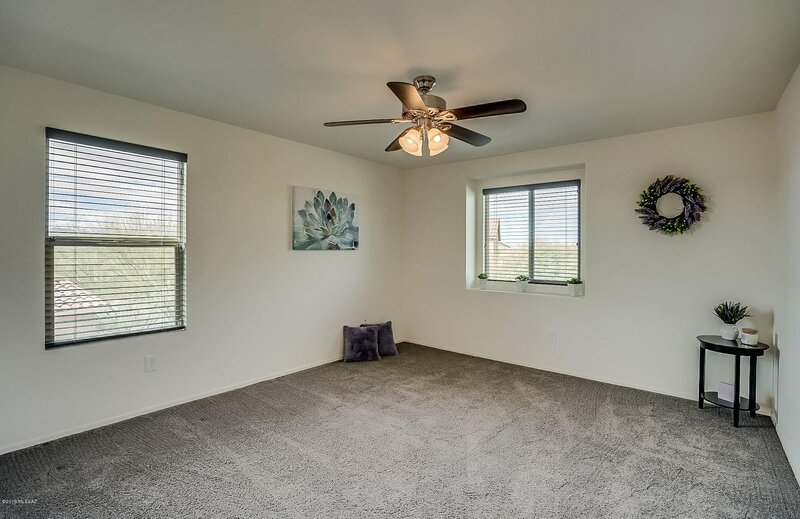 The home was built in 2016, has ceiling fans in all the bedrooms, a tandem garage and lovely garden space. 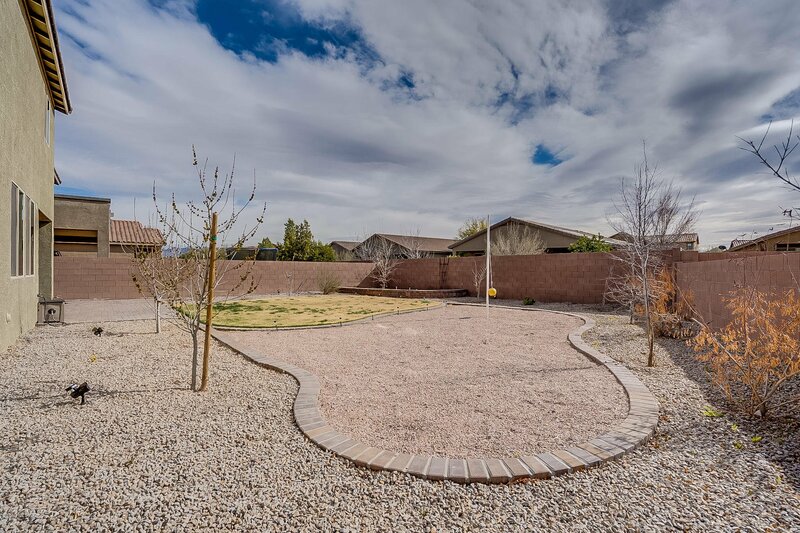 East on Continental to Old Nogales Hwy, Left on E. Madera Highlands Pkwy, Left on Campbell, through round - about, Right on E. Madera Grove, Right on N. Ivy Dale Ln to Lumber Jack.